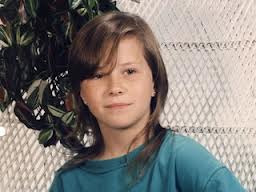 After almost 20 years there is a major break in the case of missing Andrea Gail Parsons … So much for no body, no crime! 42 year old Chester Duane Price has been arrested and charged with murder of Andrea Gail Parsons. Andrea Gail Parsons went missing and was last seen on July 11, 1993 in Port Salerno, FL. She was 10 years old at the time. Andrea Gail Parsons was last seen at approximately 6 pm as she purchased candy and soda at a grocery store when she waved to a local couple as they drove by on an area street and honked. Chester Duane Price was charged with first-degree murder and kidnapping of a child under the age of 13, after he was indicted by a grand jury. According to the sheriff’s department new release, the police investigation concluded that Chester Duane Price abducted and killed Andrea Gail Parsons. The girls body has not been recovered. Price is being held at the Martin County Jail without bond and is scheduled to make his first court appearance via video link at 10:30 am Friday in front of Judge Darren Steele . The sheriff’s department declined to specify what evidence led to Price’s arrest for the crime after 19 years or to provide details to ABCNews.com beyond the prepared news release. Price was most recently living in Haleyville, Ala., and has an extensive criminal history with arrests dating back to 1991, the sheriff’s office said. He voluntarily returned to the area to give testimony to a grand jury, sheriff’s spokeswoman Rhonda Irons said. He was arrested after the grand jury decided to indict him. At a news conference Thursday, retiring Martin County Sheriff Robert Crowder said that a team of detectives was assigned last year to conduct a further review of evidence collected in the case. “The resolve to find Andrea and get answers surrounding the circumstances of her disappearance has never wavered,” he said.